Nothing is more romantic than a beachfront wedding on one of the world's most spectacular beaches. Sparkling seas and dazzling sunsets create fairy tale settings. 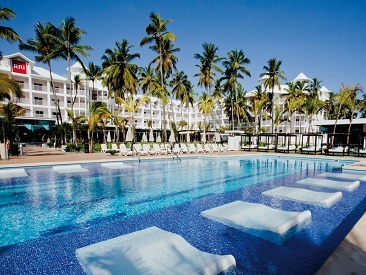 Add to this the luxury and convenience of a Riu all-inclusive resort and you have a match made in heaven. An on-site wedding coordinator will assist in making all the plans and will coordinate all the details, relieving the happy couple of the stress associated with traditional weddings. 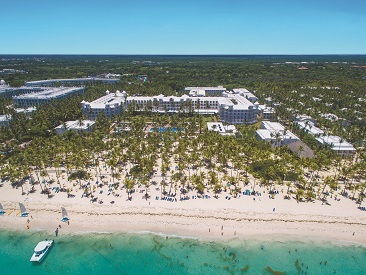 Spend valuable time with your loved ones exploring the beauty of Punta Cana, pamper yourself in the spa and relax in the glorious Caribbean sunshine instead. This is your special time - let Riu Resorts help make it the most memorable day of your life! Choose from the following wedding packages: The Caprice - Riu's most extravagant, elegant and complete option; The Royal - The perfect fusion of extravagance and simplicity; The Classic - Simple, intimate and romantic. A FREE wedding package is also available. Get married at any of the Riu Resorts and you will be able to choose the type of ceremony you want to have: either a civil wedding, religious wedding or a vow renewal. The wedding coordinator will make the necessary arrangements according to your request. For those who want a beautiful wedding without all the big costs associated with such an event, the FREE Wedding Package is truly the perfect option. Important Notes: In order to qualify for a free wedding package, you must book 5 or more rooms at the wedding hotel. Minister or Judge fees, legal documentation and associated fees are NOT included and must be paid by the couple. The Classic wedding package provides you the opportunity to create a simple yet elegant wedding in paradise. Complete with a RIU wedding coordinator to thoughtfully plan your special day and all the elements necessary for an unforgettable ceremony. The Classic package is an ideal way to start your lives together in a very romantic and intimate way. The Classic Wedding Package is available for the bride and the groom only. The perfect balance between simplicity and extravagance, the Royal Wedding Package provides all the offerings of the Classic Package and a variety of other impressive amenities. From a complimentary room upgrade to a wedding cake and sparkling wine, the Royal Package is intended to make your special day perfect in every way. The Royal Wedding Package is available for up to 15 wedding guests plus the bride and the groom. 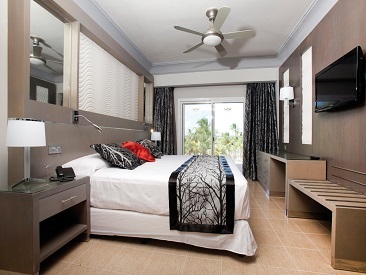 The Caprice Wedding Package is Riu's most extravagant, elegant and complete option. Created for those who desire an unforgettable and once-in-a-lifetime event. The Caprice package provides an endless number of extraordinary details and amenities to ensure that your dream of a fairytale wedding truly does come true. The Caprice Wedding Package is available for up to 40 wedding guests plus the bride and the groom. Additional services including additional decorations, floral arrangements, food and beverages and live music can be added; prices vary. Room upgrades are to the next level above your booked room, however upgrades are subject to availability and not guaranteed. In order to have a wedding at Riu Hotels & Resorts, the couple and at least 80 percent of the total number of wedding guests must stay at the hotel where the wedding will be performed, otherwise it will be canceled. This is a strict RIU policy. Prices and inclusions are subject to change without notice. $35 USD SPA Credit in a selected couples massage for two (50 min), per couple per stay. Does not apply with other promotions and discounts.